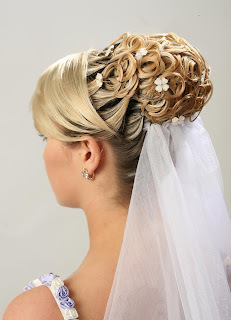 Weddings are always changing, and yet they remain timeless, especially when we look at the hairstyles of the bride and her handmaids. 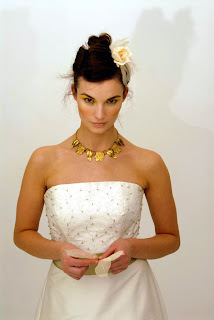 There is no doubt that the most popular look for brides has been the princess updo. This has been the preferred style for decades, and it will remain so for many more. There is a good reason for this. The height of a good updo creates a sense of elegance and style in the wearer, and the strands that can be allowed stay down the sides of the face serve to frame the eyes and cheekbones of the bride in a playful way that suits the joyful event. However, many young women feel that they need to stand out in their appearance, and they often opt for different looks. When chosen carefully, this can create a wonderfully wild and fun feel to the wedding. But the choice must be done clearly and carefully, because if the bridesmaids are given to understand that they all have complete freedom to chose their own hairstyles, the end result could be upstaging styles on the part of one or more maids, or a complete jumble of unrelated haircuts that fail to enhance the event in any way. If the bride opts for a short and curled bob, a stylist should coordinate her look with the bridesmaids, ensuring that each woman has a short look that does not compete for the eye with the bride’s hairdo. This applies to any choice the bride makes, eventually. Communicate clearly and enjoy the results! Adam Lambert for the win!